I’ve shared how I faced a similar struggle to Amanda. A turning point came in my ten-year journey through infertility as I read the third chapter of Genesis one morning. In it Eve is called “the mother of all living.” In that moment God seemed to whisper this truth to my heart: All women are mothers, because all women bring life to the world in some way. We encourage. We feed bellies and hearts. We nurture dreams. We create beauty. We birth books. And yes, some of us also have physical children. But that’s not the only way to bring life into this world—it’s one of many. I think Deborah, a judge in ancient Israel, would agree. In a time when women were not usually given leadership positions, she found herself in a place of influence. Those around her looked to her for wisdom. She also served as a mighty warrior who helped win a significant victory on God’s behalf. She says, “Villagers in Israel would not fight; they held back until I, Deborah, arose, until I arose, a mother in Israel” (Judg. 5:7, emphasis added). Scripture gives no indication that Deborah had children of her own. Yet she clearly sees herself as a strong, fierce mama. Because of her courage and obedience, “The land had peace for forty years” (Judg. 7:31). I believe every woman is tempted at some point to believe she’s not a mother. Perhaps you’ve never married and wonder if you’re disqualified. Maybe you have children but feel like an imposter. You might be an empty nester who believes your time as a mom is over. You could have dealt with challenges, mistakes, or tragedies that make it seem like you’ve lost your chance. Whatever your circumstances, I want to gently challenge you to believe this: you are still a mother. God may have you mother your department at work, a group of giggling teenagers at church, or the children running wild in your neighborhood. He might have you mentor individuals who never got what they needed from their own moms to truly thrive. He could have you give birth to a project, idea, or dream that wouldn’t make it into this world without you. How God calls each of us to mother looks different and may even vary throughout the stages of our lives. But what we all have in common is this: we are a powerful force God wants to use to change the world. Never underestimate what God can do through the heart and hands of a woman. We are influencers. We are nurturers. We are fighters. We are Deborahs. We are mothers. We don’t need lines on a pregnancy test as proof. The God-written lines of our life stories already show it’s true. I am so encouraged by this post! Though my own mother has been with the Lord for 14 years this Thanksgiving, I am reminded that I can look to my dear friends for the nurturing and leadership I miss. YES! So many ways to bring life to the world! I’ve been studying Eve lately and appreciated the revelation you shared from Genesis. Holley, such words of truth in your piece. Women are mothers in so many ways. Watch young girls and they are practicing mothering from an early age. This is how God gifted us. Thank you Holley. This fits the piece of puzzle I’m missing today. You have a wonderful ministry to me. 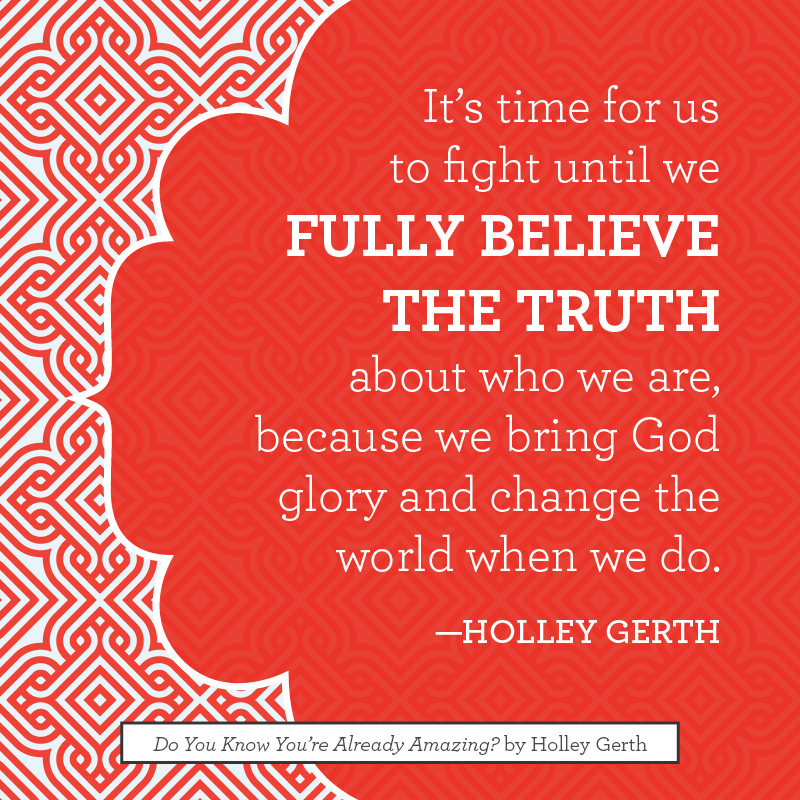 Holley- you are so right! I love the reference to Deborah. This is important for us whose children are grown to remember. We are not done mothering as long as we are in the body of Christ. Spiritual mothers and fathers are sorely lacking. We need to step up to the plate! Being a new mom I have definitely thought a few times “maybe I wasn’t made for this.” So thank you for this reminder that yes, God did make me for this. And thank you for hosting the link-up! I’m so glad you all joined me here today… thank you! Holley, thank you for this. As a single woman who yearns to be a wife and momma, these words were balm for my soul. I love this! As someone who has no children of my own, I sometimes feel like I’m “less than” or somehow missing out. But I’m a teacher and work with children in a lot of different ways and I love that I have the privilege of “mothering” them. Thanks Holley! This is a very timely post. God bless you! What a beautiful way to encourage. Thank you! Such a good reminder for all of us. Blessings to you and your ministry! 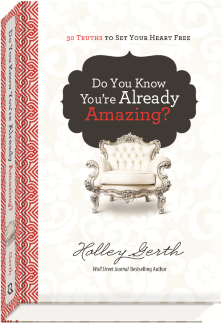 Holley, I’ve just finished one of your books. I’m so encouraged by your heart to encourage others and be a loving presence in this sometimes crazy online world. Your words have been so uplifting as a fellow writer and sister in Christ. Thank you for doing what you do! Wise and encouraging as always, Holley. I especially appreciated your side-line cheer for all of us: “Never underestimate what God can do through the heart and hands of a woman. We are influencers. We are nurturers. We are fighters. We are Deborahs. We are mothers.” INDEED! We have much to give and must to gain: the satisfaction and contentment of fulfilling God’s purpose. Thank you so much for this! As a 36-year-old woman who has always looked to be a mother, but had never even been in a relationship, I sometimes need reminded of this. Thankfully, through church and friends, God has blessed me with several “kids” I have always considered mine! I love them with all my heart!! Your words are such an encouragement! Today’s post “hit the spot” for me. Thank you so much for sharing and hosting. Thanks a lot Holly. You have uplifted the downhearted women who are in the lonely road of infertility. Our value is not dictated by worlds view but by God’s love.